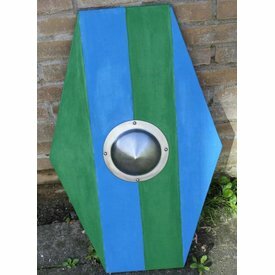 The targe was a round shield that was used from the 13th century on. 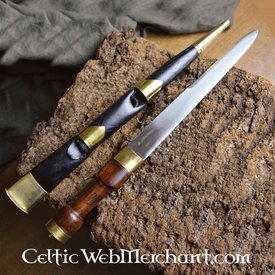 It was the most important defence weapon of the Scottish highlanders from the 16th century until the mid-18th century. After the defeat at Culloden in 1746 the targe was prohibited, just like the bagpipe and the kilt. This targe is made after a 17th century original. 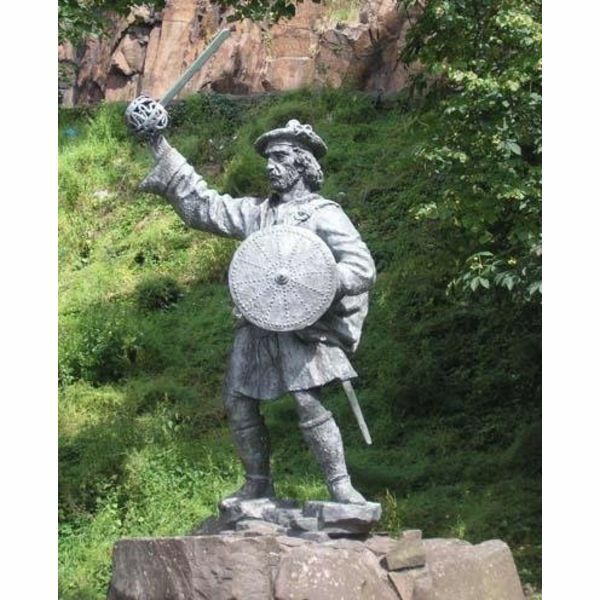 Nowadays it is part of the collection of Edinburgh Castle in Scotland. The targe is made of wood and covered with leather. 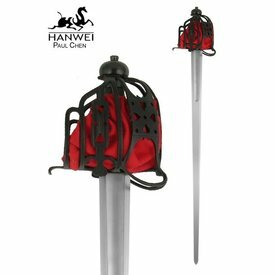 The leather is strengthened by the decorative nails. It is provided with a shield boss, with a bar behind it. It measures approx. 63 cm and weighs approx. 3 kg.